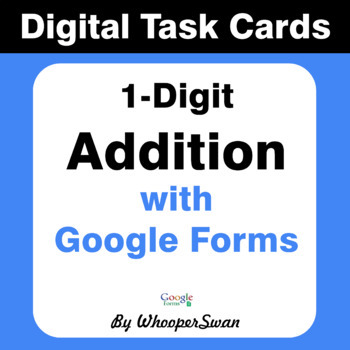 Self checking Digital Task Cards for Paperless Classroom with Google Forms. This product contains a pdf with the links to access your task cards. 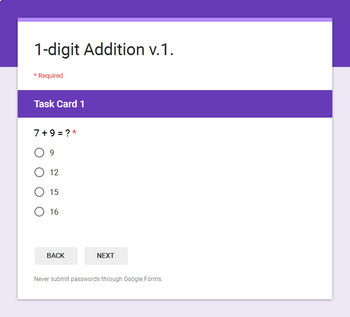 • Each task card has a single question and 4 possible answers. • Student have to pick the correct answer. • If the answer is correct, the student will be taken to the next question. • If the answer is incorrect, the student will be taken to a message page directing them to try again. 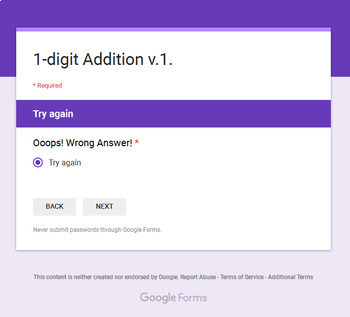 • From the try again page the student can click ‘Try Again’ to return to the math problem page. * Type this number: 575, if you are not a robot.